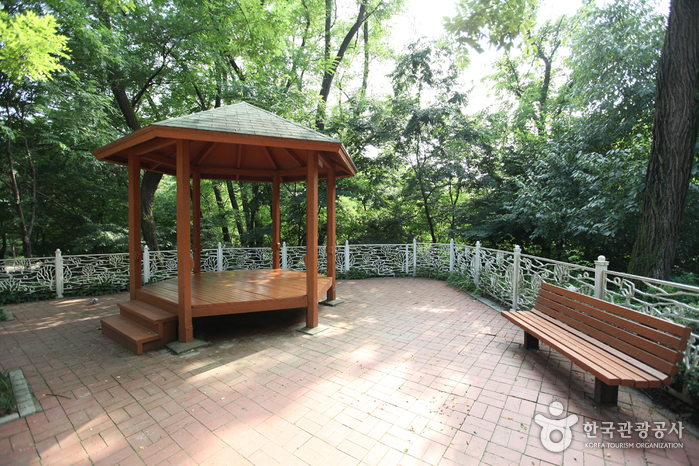 Located on the outskirts of Bugaksan Mountain, Samcheong Park was officially designated as Korea’s first park in year 1940. The name Samcheong (literally “three blue”) refers to the three highest ideals in Taoism that people can attain. Surrounded by cherry blossoms planted long ago, the park becomes crowded with tourists every April when the blossoms are in full bloom. The park offers many amenities: badminton and tennis courts, a playground, a snack bar, and a multi-purpose rest area. Major hiking trails winding through Samcheong Park connect the park to the Bugaksan Mountain’s Seoul Fortress Wall Hiking Trail, a mineral spring water in Seongbuk-dong, and Waryong Park. While hiking, visitors can encounter Malbawi Rock, an excellent spot chosen by Seoul Metropolitan Government, where visitors can overlook Seoul at a glance. 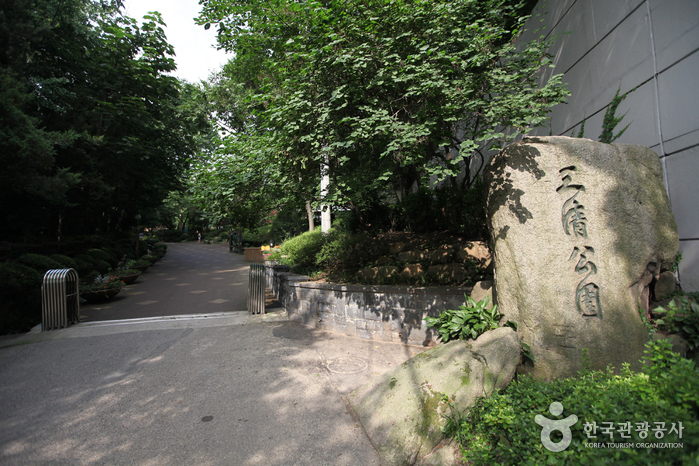 Malbawi Historic Site Visit Program, run by Jongno-gu Office (Seoul), provides children and adults with the opportunity to learn about natural ecology in Samcheong Park and the history of Seoul Fortress Wall from designated guides. Through well-developed roads around Samcheong-dong, visitors can easily move from Samcheong-dong to Seongbuk-dong. Currently, Samcheong Tunnel near the park connects the two localities.